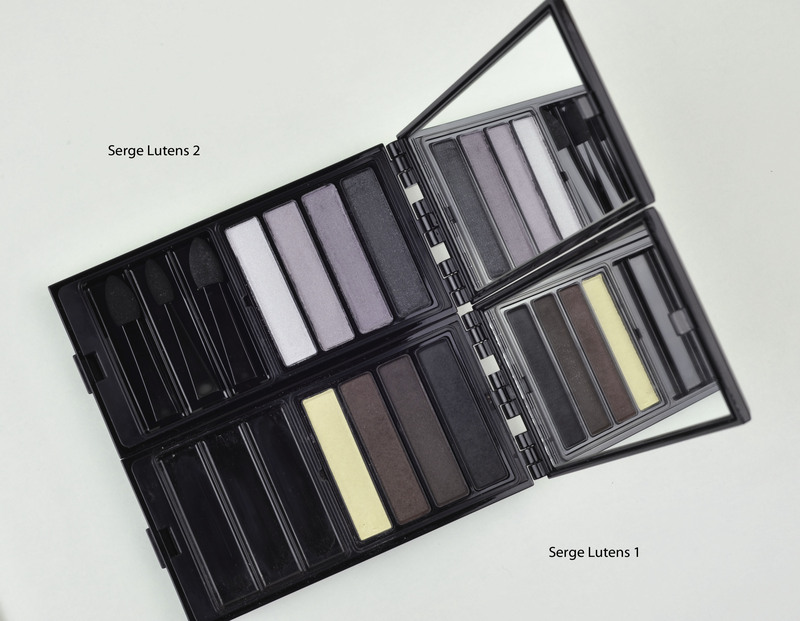 The new Serge Lutens eyeshadow #2 is a lavender-purple-grey-cool-toned palette that offers 4 eyeshadows with similars tones but in a gradient intensity. They range from a very sheer, nearly white, lavender to a very dark grey with tiny micro lavender sparkles. Although I find this palette a bit boring, unless you love lavender cool tones, the quality is once more outstanding. There is something about Serge Lutens eyeshadow textures that make them stand out from the crowd, not only because of their price but the finish is truly different, they grab onto the skin with more precision and it feels like the pigmentation they leave on your eyelids comes from underneath the skin, you'll get less transfer in your final look and when it fades, it fades in an even and sultry way. Compared to the old SL palette that I highly prefer, this new palette contains shimmery colors, my only problem with it is that it's a bit too flat and not very appropriate for me, but maybe I am missing something, since I have no other information, no example looks, no instructions, I don't know if I should use it the way I use it. I have tried several looks and came to the conclusion that lavender is not that flattering for me. I will share my thoughts with you today. Le Metier de Beaute shade on the very left in the swatches is the one from Antiquité Poupée (kaleidoscope is not pictured here), the LMdB is much more metallic than the SL. Mac Hocus Pocus is green based but I still wanted to share a swatch (I love this color…), I love to mix it with a golden cream shade. The Mac Black Tied applies a bit patchy and is much darker. 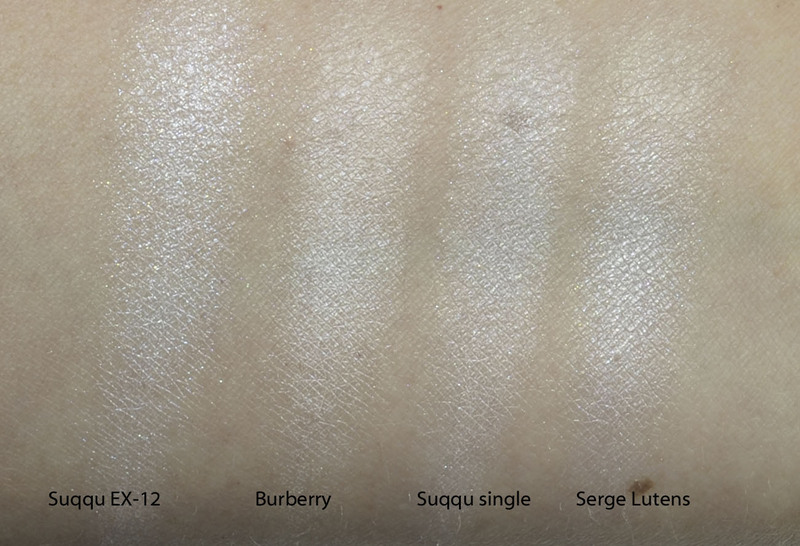 RBR Trumpeter Koehl is maybe a shade that SL could use instead of having two very similar shades in the same palette! Chanel Black Star I don't use it because of the lasting power and it tends to transfer while fading. RBR Volcano Fairy-Wren is similar to the SL but warmer and darker, the SL has also more tiny micro sparkles. SL #1 is blacker and matte. The Shiseido is a cream shadow with tiny sparkles, again much darker. 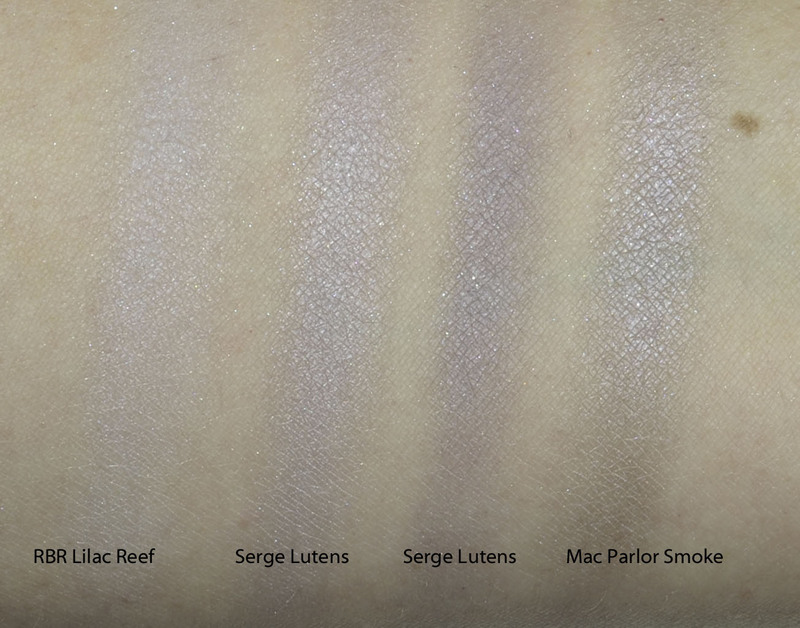 The finish of these two shades is similar to Mac veluxe pearl, in between a satin finish and a veluxe pearl actually. 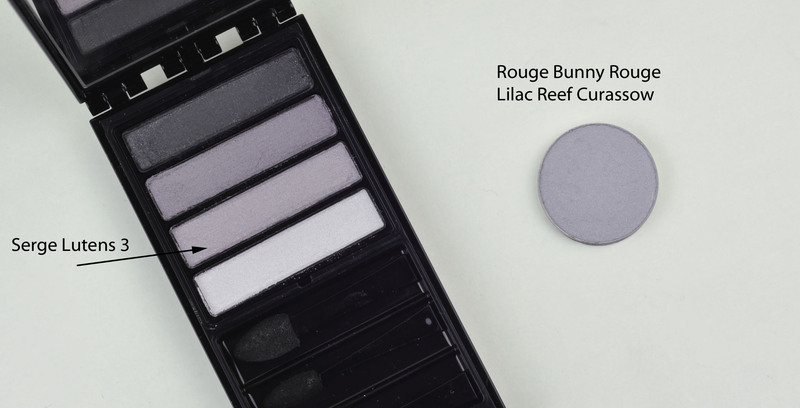 It has been really difficult to find a dupe to these two shades, I have only two that come a bit close, Mac Parlor Smoke and RBR Lilac Reef Curassow. Of course the SL are better in terms of quality than the dupes I found so if you love cool lilac eyeshadows this SL will be heaven for you. The finish is similar to a Mac frost in terms of shine but of course more appropriate for ageing eyelids. I believe the Suqqu individual shadow is no longer produced but it is the closest I found in my collection. The SL is white but with a lavender bluish hue, not an irisdescent finish though but still a beautiful dimension. All the SL shades have sparkles but they are so tiny that this should not be a blocking point, that said, this one is the most shimmery, an elegant shimmery finish but still very obvious, it's really good to highlight the inner corner, but placed in all the browbone area it delivers too much shimmer, it will be better to use the mauvy sheer shade in the browbone and this white in a very narrow line application just underneath the eyebrows. 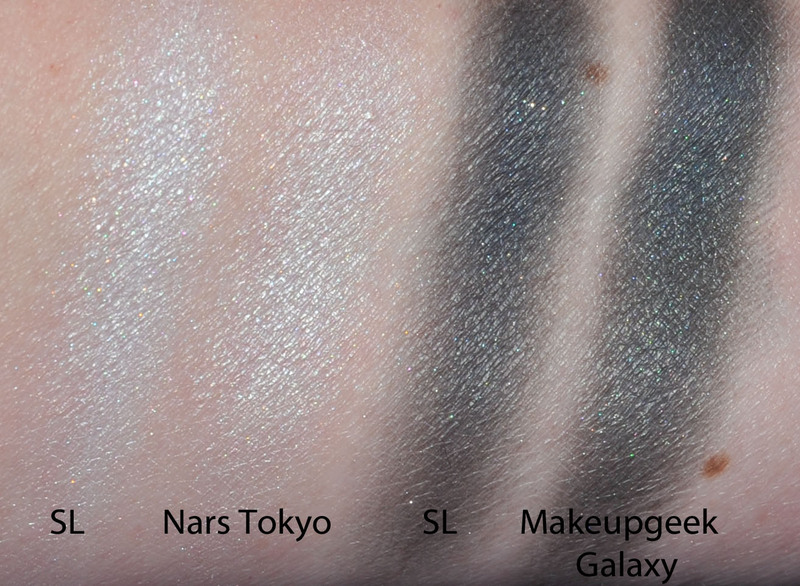 In terms of quality the SL is above any other shadow here but I have to say that even though I did not find exact dupes, I can totally reproduce the same look. From the distance you won't see any difference. However, the SL are really amazing for those of us who have older eyelids, they just don't emphasize the creepiness at all. The finish is smooth and even and where they differ the most is in the way they fade along the day, they fade with "elegance" and don't crease. SL is more gentle with older skin, stays put, the finish is more elegant than other dupe options but the price and the lack of diversity in this palette -in my humble opinion- does not justify the high price tag. I much prefer the SL #1. 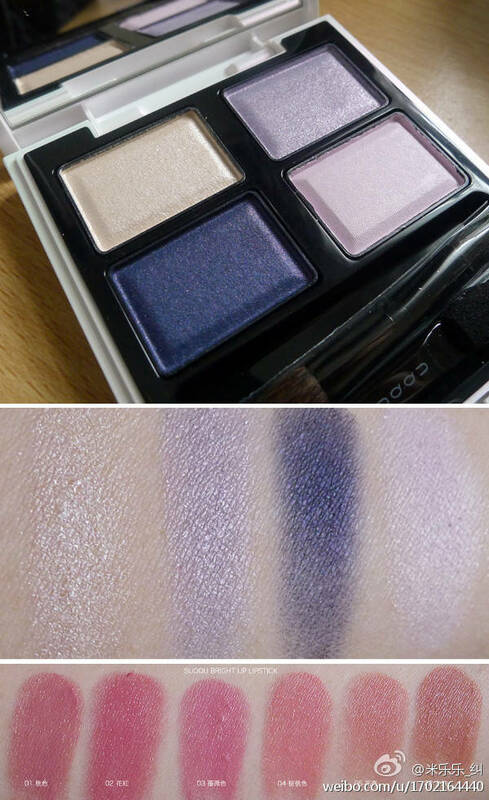 I love to use some lavender shadows but this is way too cool for me, and if I do a smokey look although it doesn't shout metallic, it still is too shiny for my taste when I use the grey all over the mobile lid and up to the crease. I have been using it for 5 days in a row and I did not manage to be entirely satisfied with it, I think I will try again when my face managed to see some sun or when I will be able to give a more flawless finish to my skin, I suspect that with a more even skin, the final look will be much more beautiful. For now it's still too cold to apply more coverage and my dry skin will not enjoy it at all. I also find that these lavender tones makes my eyes appear even more tired than what they are right now and it emphasizes the "grey" in my eyes which is not something I love at all! 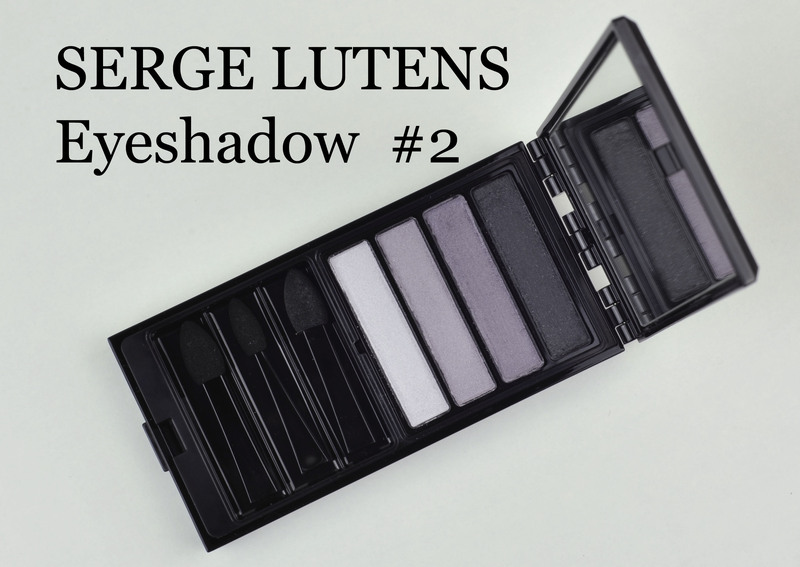 Serge Lutens Eye Shadow palette #2 was last modified: August 19th, 2013 by Sonia G.
Thank you for reviewing this palette! I saw it recently on Barneys.com but did not buy it as it seemed a little too cool for my eyes and not very versatile. It was nice to see it modeled and I’m still considering it because I really like the dark grey. Like you, I am a fan of the first SL palette. you are welcome Christine ! I hope he will release more versatile colors one day, with that texture and power, a crease color would be so incredibly useful ! I will buy expensive brushes but I just haven’t gotten into super expensive makeup. I do appreciate the review because they are very hard to come by and are never this nice and thorough. I just got an order in of Rouge Bunny Rouge eyeshadows and those are expensive enough for me so I can have more money for brushes. RBR are already not cheap at all and of the best quality, you will enjoy them ! Your reviews are so satisfying to read, Sonia. 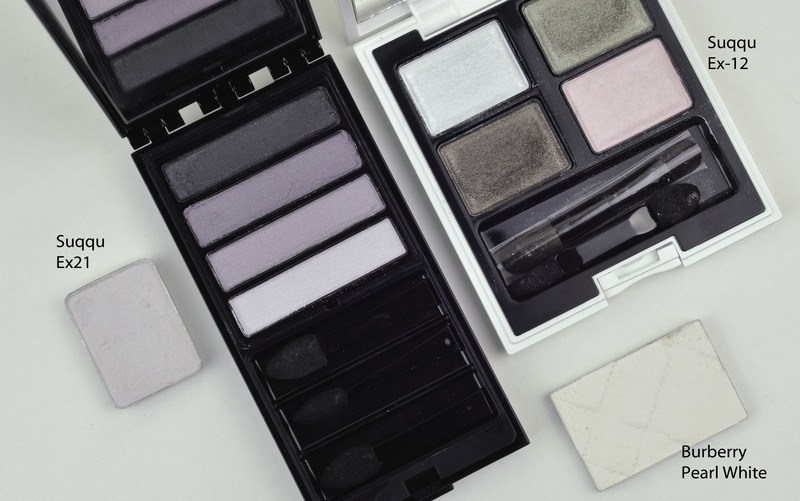 Lavender shades of eyeshadow ARE tempting, aren’t they? A nice Spring-time or Summer colour in theory, but, as happens so often in make-up, the reality delivers surprises. How would you compare the age-friendly quality of SL to that of Guerlain or Kevyn Acoin? these shades are tempting indeed, I prefer when there is more contrast in the same palette but now I can’t say I don’t have enough lavender shades ! Guerlain are often more metallic in comparison to the SL, not always but often, in most cases they don’t have the subtle glow/shine of the SL but are more dramatic, that said, there is a lot of Guerlain that are satin, I am enjoying a lot the Vendome palette actually, their texture can either be great or a pain, it will depend on that specific palette. SL’s texture is always amazing (so far, but I guess they got the winning formula…). For Kevyn Aucoin, these are less pigmented, the blending and application is a bit more volatile, not powdery but not the same grip as SL. I enjoy a lot a neutral palette I own, nearly hitting pan..
Guerlain, the age-friendly will depend on the palette. KA (the palettes I own) are age-friendly, I wish they could have more grip but I always get compliments when I use it. Thanks for the analysis, Sonia. I really am enjoying this palette but I don’t wear it alone. I like to combine lavender with green or use it as a highlight of color in the middle of my lid when doing a neutral eye. yes I need more contrast, I will try to pair it with other colors to see how they will result ! It looks nice ! I have many warm lavenders and they definitely suit me better !! a great review. 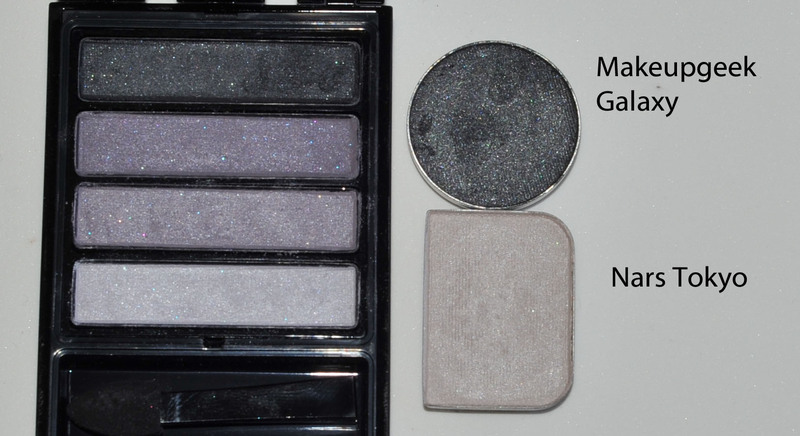 what you mentioned above is eyeshadow palettes with cool colour tone. can you share your eyeshadows with warm colours next time? well done ! great idea, how were your exams ??? Hi Nikoleta, so you could already see it at their counters ? I agree, I prefer the 1 too, I get more use of it ! Could he smell the perfume after a while posing or just straight after application ? Mine sometimes changes his mind when the perfume sets. Is it the kind of perfume you apply like if it was a “nuage” around you or directly on the skin ? oh fluxa ? I love their little boots ! It’s a bit similar here, the counter is the smaller counter in history, it’s just their little purple box placed in a corner, you won’t know what it is unless you know exactly what you are looking for. The testers are not even out, so if you don’t know that you can slide the drawers out, you won’t even stop. I don’t even know how they sell anything. So weird. You are right, you don’t feel the luxury behind and the service is often terrible. Don’t worry, they also look at me kind of in a superior way that I hate… and then you ask something and they have no clue ! It also happened to me in London, but the worst thing was at the Tom Ford counter in Harvey in London, I never saw a sales person behaving that way, so I left everything that I had in my hands and left the counter. Fortunately the account manager was there (watching in a corner) and later the same day, I bought my things in TF Harrods, the same account manager was there, he recognize me and apologized for the awful behavior they had with me at the other TF counter.. I would say I am “tortured” by Tom Ford Beauty in every way you can imagine. The products are always sold out and the sales person always lie to serve the big parallel goods traders here, they have no respect for new customers. I couldn’t have imagined before Tom Ford come to my city that there is possibly a brand I dislike more than Chanel (occasionally): the sales person, the very expired goods (I got an eye shadow palette manufactured for around a year and a half before), the always sold out status, the false raves of the parallel goods so as to leave you no stock to buy, etc. It’s only because it is under the Estee Lauder group so that I buy for new product innovation.